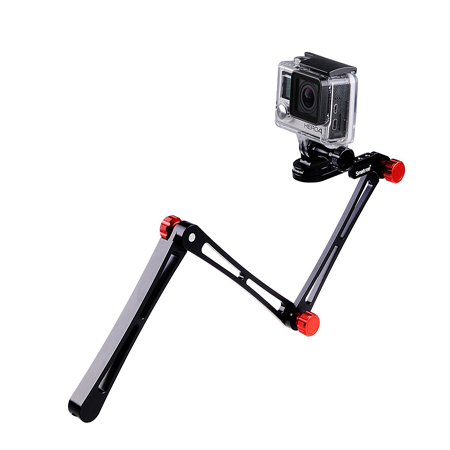 Secure extendable SmaPole S1 allows quick length adjustments from 15.8″to 40.5″, and it can offer the optimum shooting effects as you want. 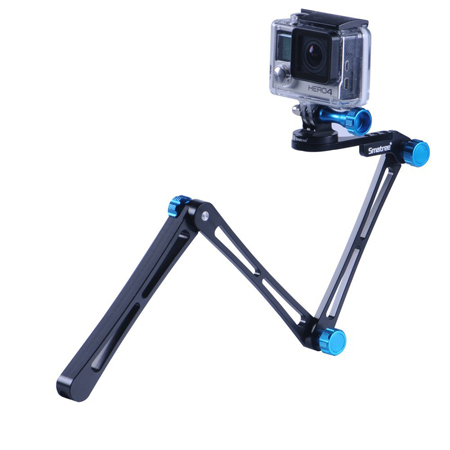 SmaPole S1 integrated with aluminium alloy Tripod mount and Nut for lighter and stronger, for lifetime use. With a CNC molded aluminium-alloy nut, you will never worry about the nut-losing. 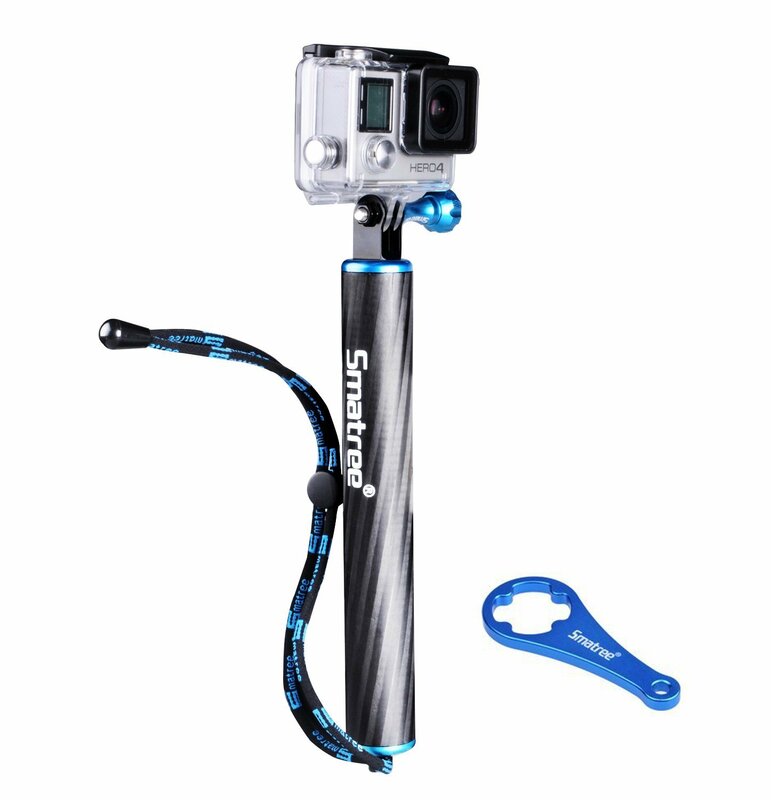 Easy to use SmaPole with fast locking system. My wife and I ride all over the state of Michigan on our motorcycle. we love using our Gopro for taking video and pic and with this pole we can get even better shots from some great angles. plus it shrinks down to a nice size to carry. I use this product with skiing today. Light weight, easy to lock, and strap is very useful. There is only one cons for me. Grip is relatively thin for grabing with ski grove but acceptable. It is good for bare hands. light weight an easy to use, an the construction is very well built compared to the others ive looked at . It is a very well built pole. 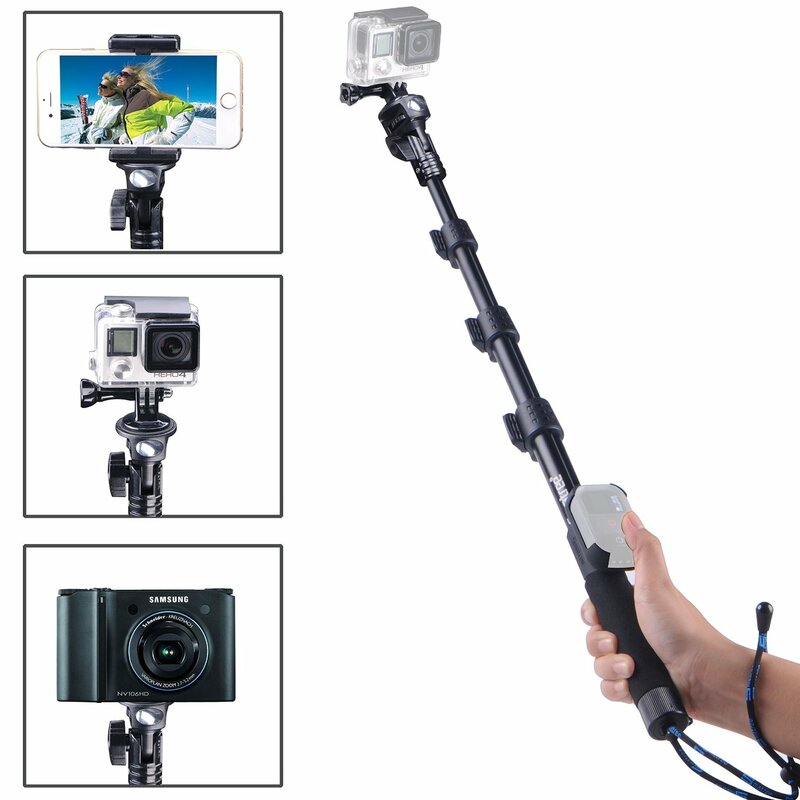 A must have accessory for any GoPro user. Smatree did a great job of designing this for a consumer. It utilizes functionality, lightweight design and ease of use. When fully extended, the pole remains very sturdy. The build quality is really second to none. I just wish this came with a tripod attachment. Other than that, I recommend this item.